Amazon S3 is storage for the Internet. It is designed to make web-scale computing easier for developersMore information can be read at: http://aws.amazon.com/s3/. Buckets: A bucket is a container for objects stored in Amazon S3. Every object is contained in a bucket. Objects: Objects are the fundamental entities stored in Amazon S3. You can think of them as being files. Folders:You use folders to group objects in a bucket. Keys: A key is like the file name; it is the unique identifier for an object in a bucket. Every object in a bucket has its own unique key. More information can be read at: http://docs.aws.amazon.com/AmazonS3/latest/dev/Introduction.html. JA Amazon S3 includes JA Amazon S3 component, JA Amazon S3 plugin and JA Amazon S3 Button plugin. JA Amazon Simple Storage Service component is a powerful Cloud File Hosting to Joomla. Hybrid hosting is now possible, load site from your server and files (images/ documents/ CSS/ JS) from amazon clouds or even Amazon Cloudfront Content Delivery network (CDN). Install, upload files and enjoy the benefits of Amazon Simple Storage Service (S3) and Amazon Cloudfront CDN cloud hosting. 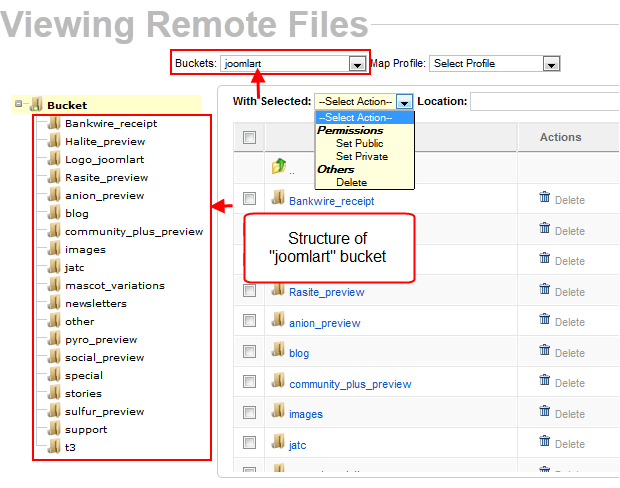 More information, please check the info at: http://www.joomlart.com/joomla/extensions/ja-amazon-s3. JA Amazon Plug-in is a part of JA Amazon S3 Component. To use the S3 Amazon component, you need install 2 plugin named: JA System Amazon S3 Plugin and JA Button Amazon S3 Plugin. 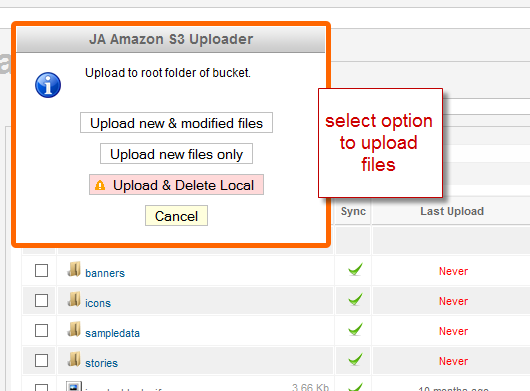 The JA System Amazon S3 Plug-in uses to store and manage objects in Amazon S3 instead of user hosting. 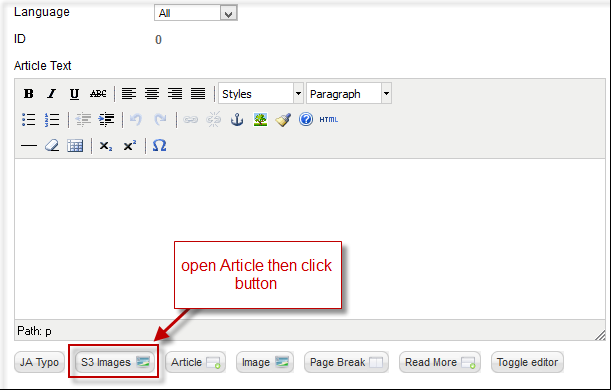 JA Button Amazon S3 Plugin is to enable the S3 Image button in the Edit form of the Article, by clicking on this button, user can select image from S3 service in the displayed popup. In Amazon S3 for J25 version 2.5.2, component & plug-in are combined. You only have to install the component, and the plugins are automatically loaded and enabled. Once the plugin is enabled, in your article editing panel, you will see a Amazon S3 button that allows you to browse files that are stored in your Amazon S3. As JA Amazon S3 extension includes JA Amazon S3 component JA Amazon S3 plugin and JA Amazon S3 Button plugin so you need to install the 3 extensions in your system. 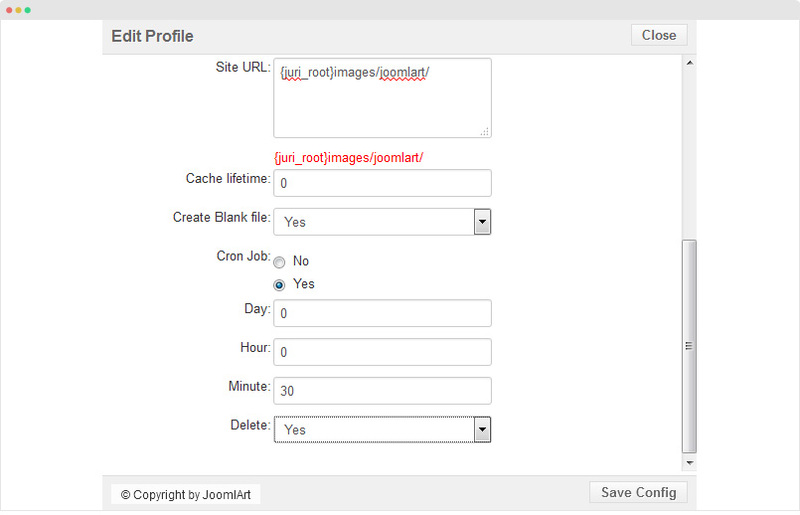 Step 2: Install the extensions video Joomla Installer - detail documentation. 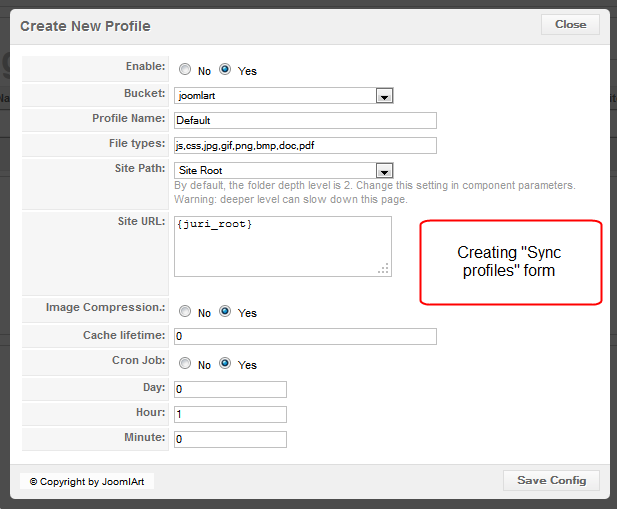 From the back-end of your Joomla site (Administration) select Components >>JA Amazon S3 >> Options button on the right. Profile Path Depth: An integer specifies the maximum depth (folders) of the selectable profile. Upload Secret Key: In order to check the upload request from a verified source. 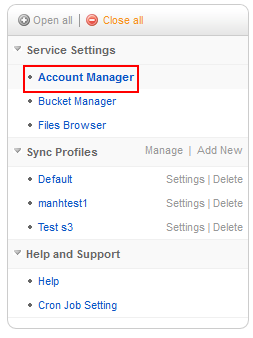 Access the "Account Manager" menu then click on the "New" button. Input all the necessary information as needed, and hit the "Save Config" button. Label: Basically, it is a name for your Amazon S3 account in order to keep your accounts organized with your other existing Amazon S3. 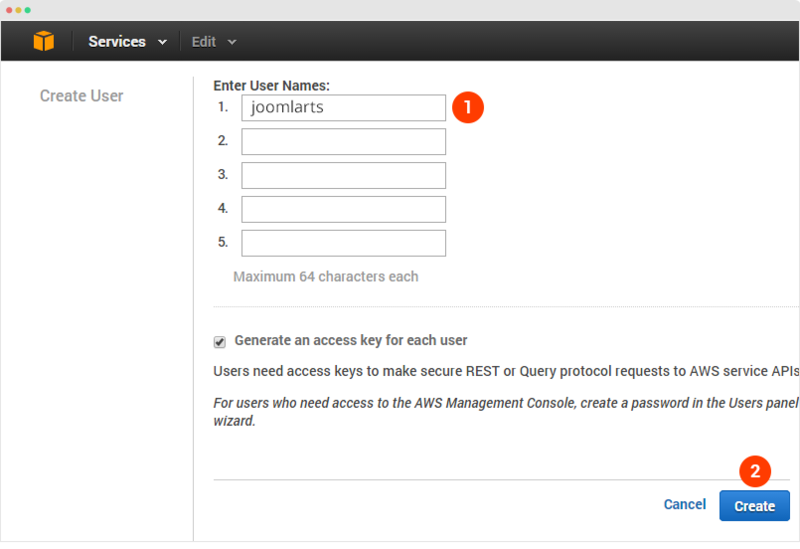 Secret key: Input your Amazon S3 Secret key . Choose the account you need to edit, click on the "Edit" link on the right. The "Config Account" pop-up will be shown for you to start editing. Choose the account you need to edit, click on the "Delete" button on the top - right. 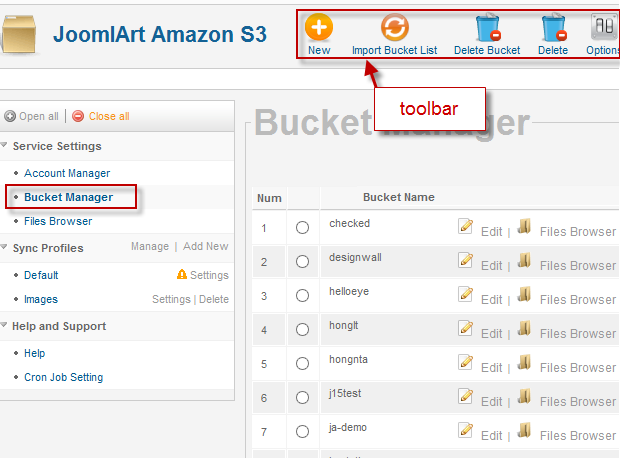 On Joomlart Amazon S3 screen, navigate to "Bucket Manager" or click on the "Bucket" link next to the selected account. Options: Open Global Configuration pop-up. Delete: Remove selected bucket(s) from the current account. 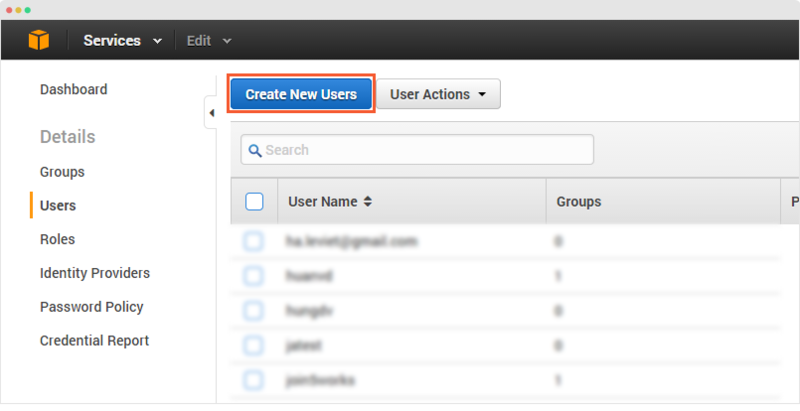 Delete S3: Remove selected bucket(s) from the current account and from the Amazon S3 server. URL Format: Set the format of the distributed URL. Cloud Front Domain: Use this Cloud Front Domain instead of the normal bucket.s3.amazonaws.com domain. Bucket Status: Set permission for bucket. - Open: Public user can read/write on this directory. - Public: Public user can read only while the owner holds both the read/write permissions on this directory. - Private: Only owner can read/write on this directory. 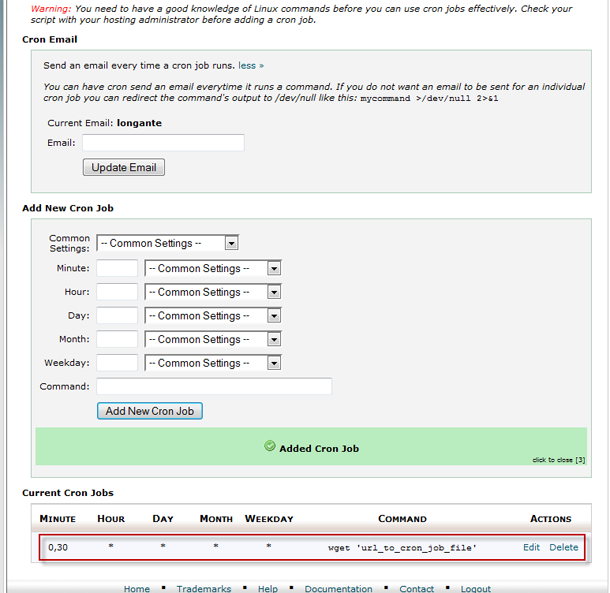 - Apply to sub-folder: Whether to apply the above setting to the sub-folder or not. 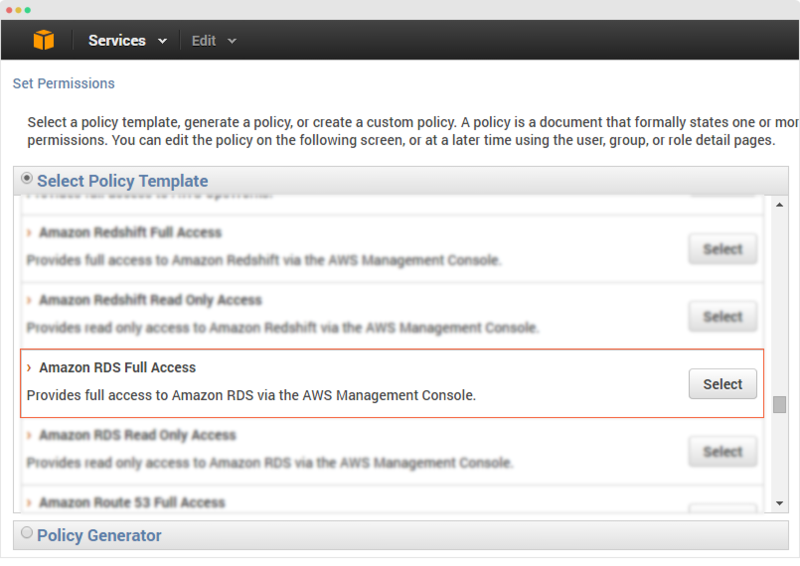 Region: Select Amazon S3 server position. Clone from existing bucket: Make a clone of the existing bucket. After configuring the settings, hit the "Save Config" button. 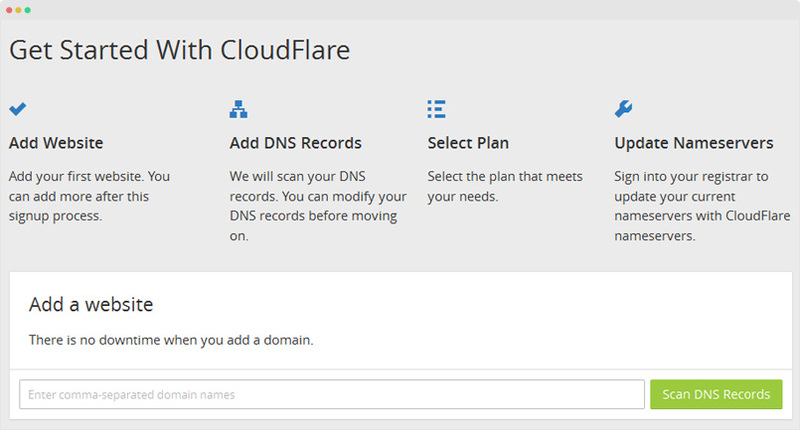 Note: When "Cloud Front Domain" is selected, the "URL Format" is inactive, and vice versa. 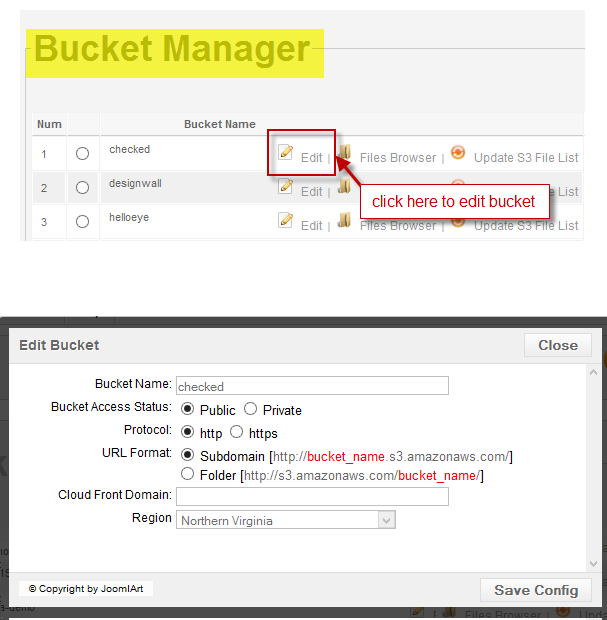 Navigate to Joomlart Amazon S3 >> Bucket Manager then hit the "Edit" link on the right of the selected bucket. Modify the attribute you prefer then hit the "Save Config" button when you're done. 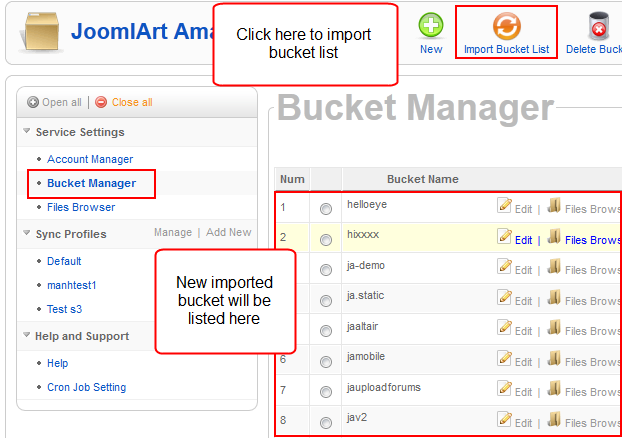 Navigate to JA Amazon S3 page >>Bucket Manager >> Hit "Import Bucket List" button on the top right corner. 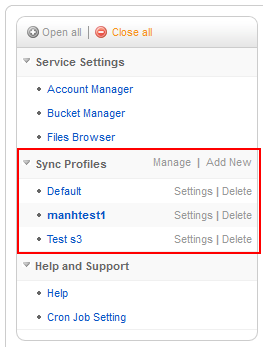 All the settings to manage your items from local to Amazon S3 server will be put in here. You can create multiple profiles to control an individual task, or the integrated task. Add New: Create new profile. Click "New" button on the right"/ or "Add New" link on "Sync Profile"
Site Path repository will be uploaded to this bucket. 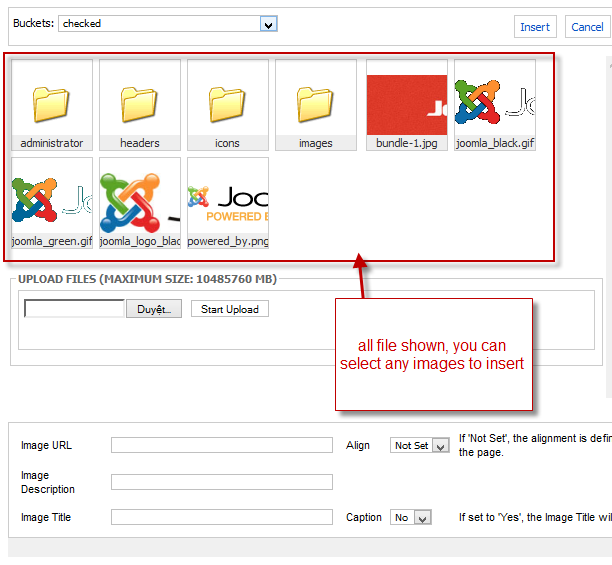 File Types: Define the supported file that can be recognized and uploaded. Site Path: Define the path to store all the supported files that would be uploaded. Site URL: After user choosing a "Site Path", a content marks with red will be displayed, copy this content and paste to textbox. Use SmushIt: Use SmushIt service to compress images before uploading them to Amazon S3 server. Cache lifetime: Time(in second) items will be stored in your computer before they are loaded again. Note: Amazon S3 v1.0.0 for J16, like the Amazon S3 v2.1.0 for J15, supports compress image and run cron job in front-end. To compress image, remember to select "Use Smushlt" when creating a new profile. 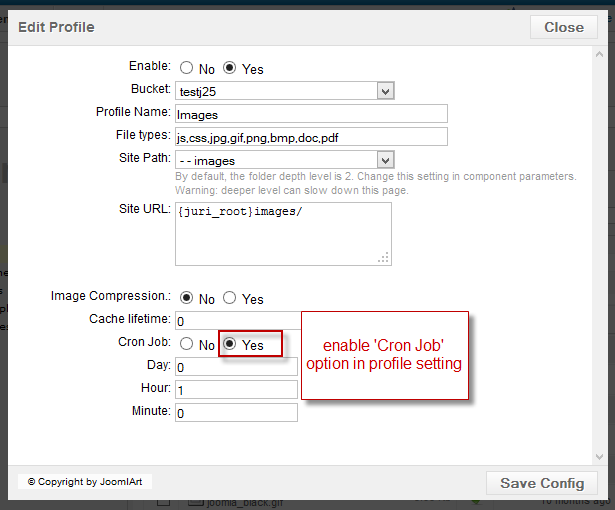 To run cron job in the front-end, adding your "Upload Secret Key” (that is defined in Options) after "?" mark at the end of the URL. Hit the "Setting" link right next to the selected profile link or "Setting" link beside profile. The "Edit Profile" pop-up window will be shown, modify the attribute you prefer. Choose the profile you want to delete, click on the "Delete" button on the top - right. Option 1: Upload new & modified files. 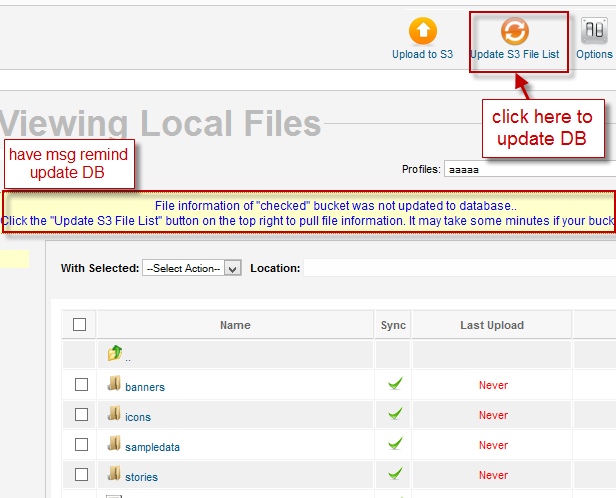 This option is to upload new and modified files -> the old files will not be uploaded. Option 2: Upload new files only. Only upload new files, meaning the old files and modified files will not be uploaded. 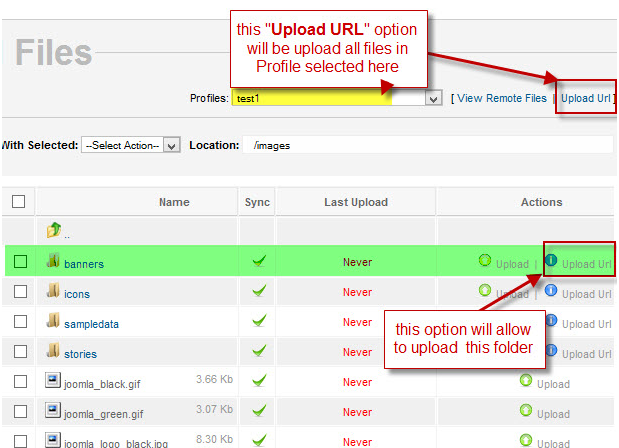 Option 3: Upload & Delete Local files. 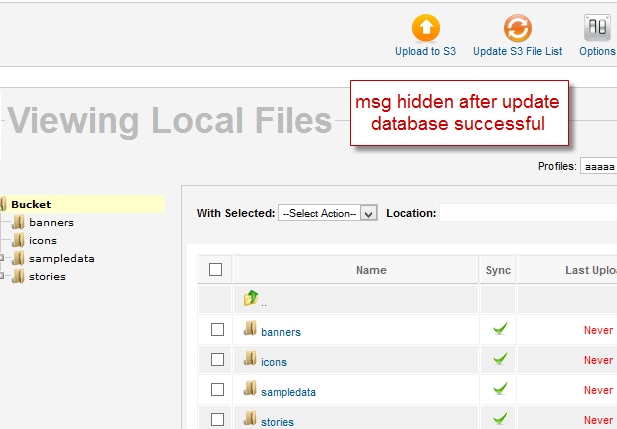 After uploading allowed files, delete the uploaded files from local. Be careful with this option, the files will be deleted from your site. 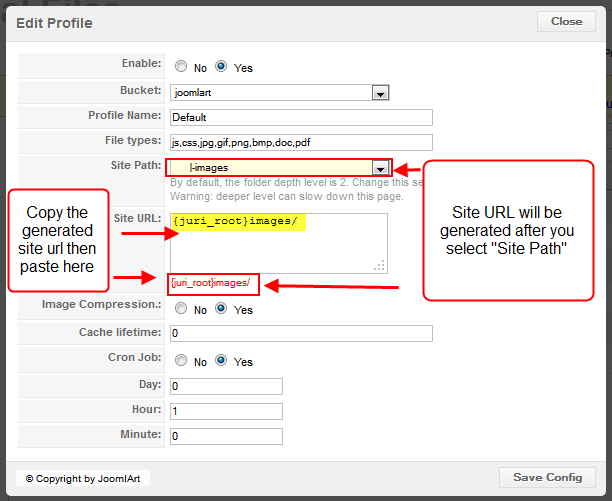 To upload files with URL, you need to enable "Cron Mode" option in global setting and in Sync Profile setting of profile you want to upload. 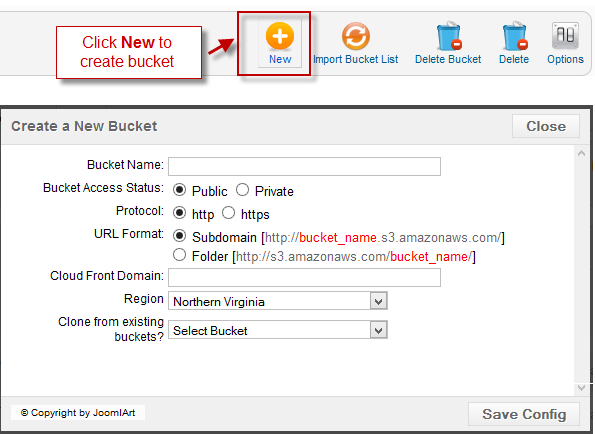 Navigate to Joomlart Amazon S3 -> S3 File Browser, or Joomlart Amazon S3 -> Buckets Manager, hit the "S3 File Browser" link on the right of the selected bucket. Create Directory: Create new directory in bucket. - Open - Public user can read/write on the selected files/directories. - Public - Public user can read while the owner holds both the read/write permission on the selected files/directories. - Private - Only the owner can read/write on selected files/directories. Delete: Delete selected directories or files in current buckets. Advance Delete: For advance users who are familiar with the Regular Expression. Note :Make sure that you must install & enable both plugins to use this feature. 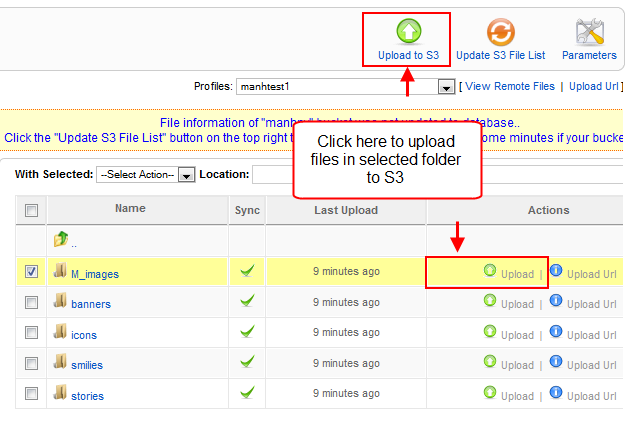 JA Amazon S3 is now added a new feature to help you easily integrating your S3 files into your Joomla site. 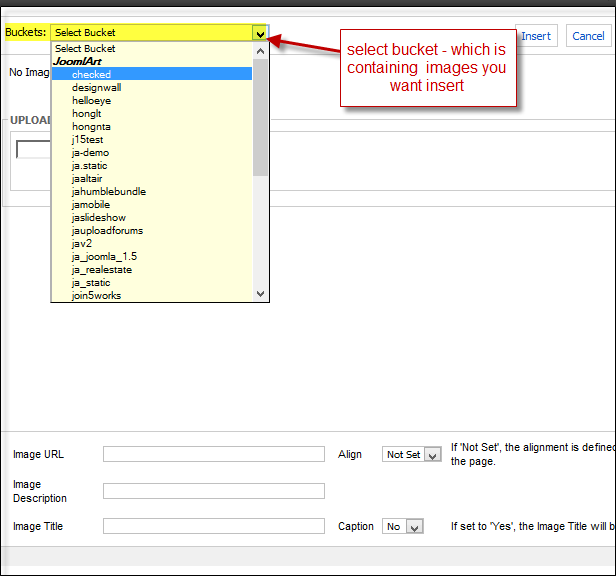 You now can select file from S3 bucket to insert into your articles, all operations are similar with what you would normally do with files on your server. 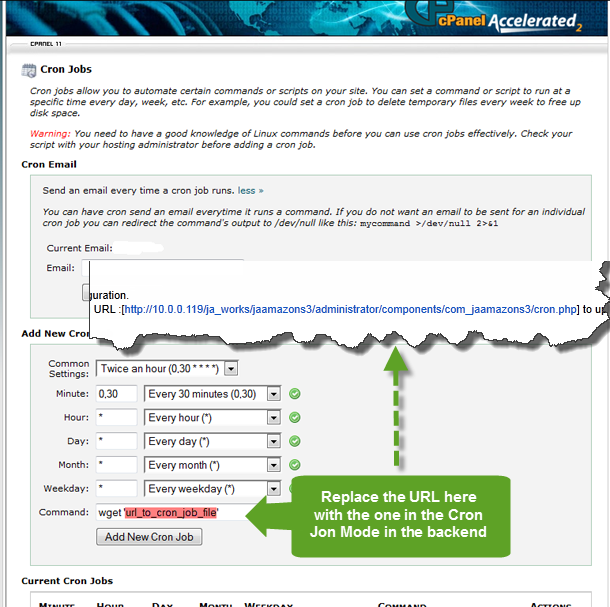 Cron job are scheduled tasks that allow uploading data to server at predefined times or intervals on the server. Be careful when scheduling cron jobs. Setting them to run too often may slow down your server. 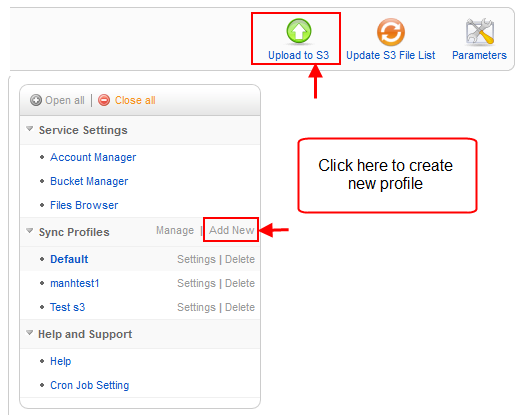 You can get upload url for specific folder of profile on "Local File Manager" page. Once you install the component and configure for other parts (Video to guide you how to install and configure the component. 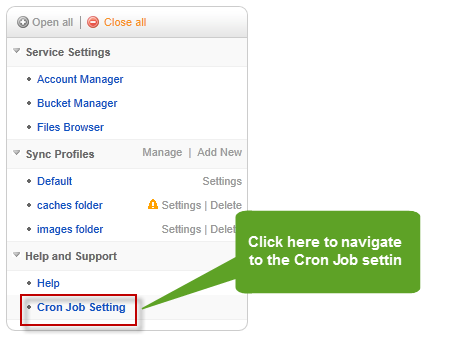 The video does not contain the Cron Job configuration), navigate to the Cron Jon Setting in the Help and Support section on the left menu. After you navigate to the section, please read the note in this section carefully before you configure. This note also is the guide for you to configure. You can have some look to understand what Cron tab is and how to create a cron tab at: http://adminschoice.com/crontab-quick-reference. Note: use URL with the format: http://your_site/ja_works/jaamazons3...zons3/cron.php. When you interact with AWS, you use AWS security credentials to verify who you are and whether you have permission to access the resources that you are requesting. 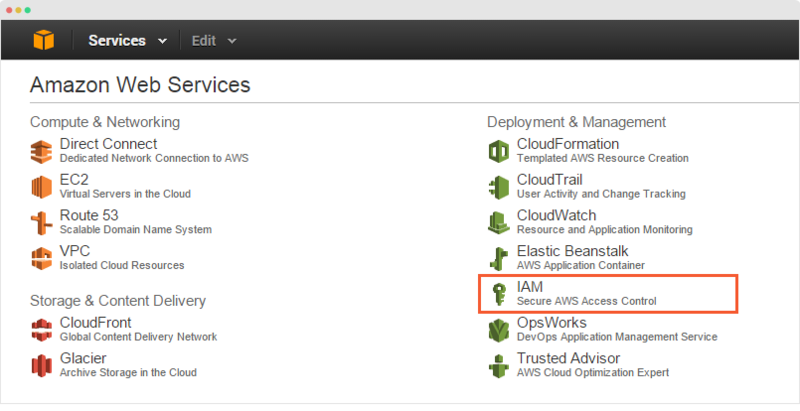 In other words, security credentials are used to authenticate and authorize calls that you make to AWS. For example, if you want to download a specific file from an Amazon Simple Storage Service (Amazon S3) bucket, the credentials that you use must allow that access. 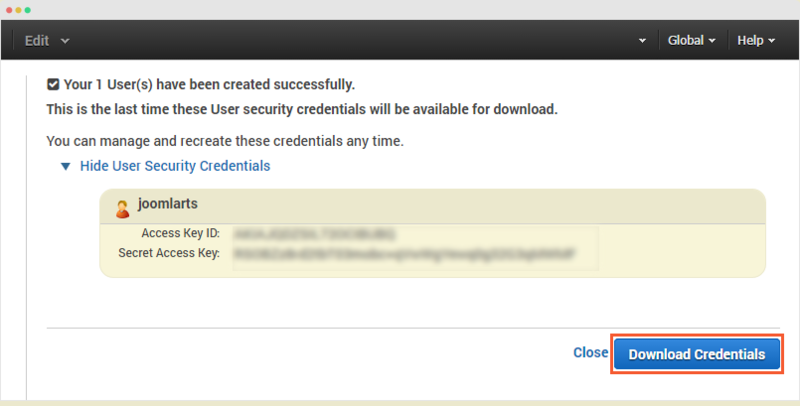 If your credentials aren't authorized to download the file, your request is denied. In some cases, you can make calls without security credentials to AWS, like when you download a file that is publicly shared in an Amazon S3 bucket. Which of Security Credentials you can use in JA Amazon S3 component? 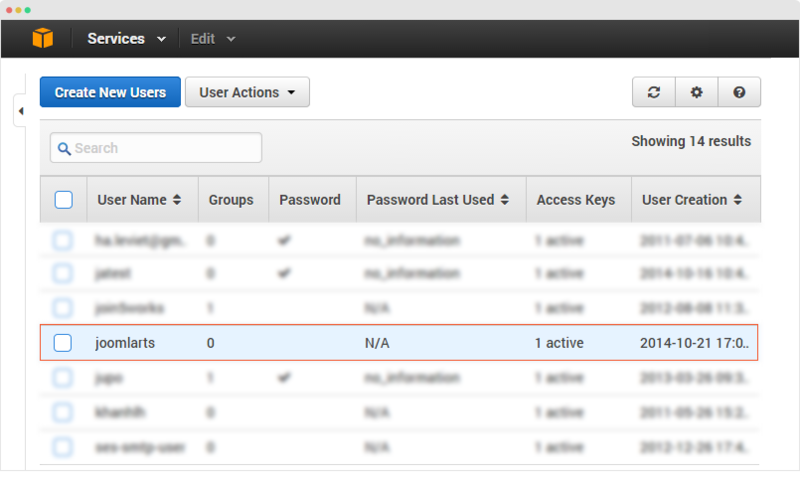 With Access Keys, you have root access (unlimited access) to your AWS resources. 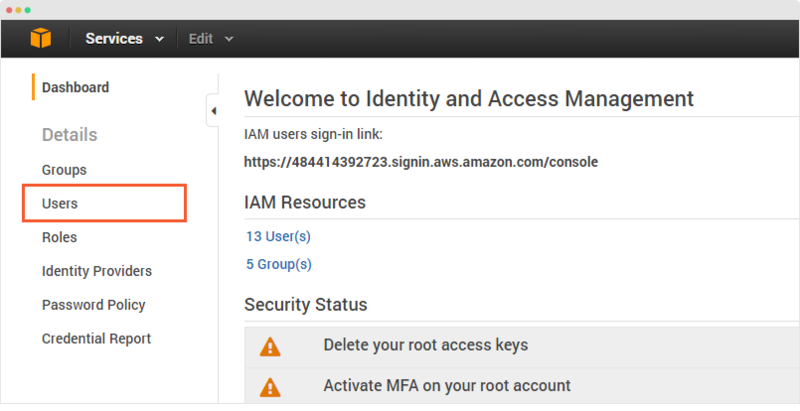 AWS Identity and Access Management (IAM) lets you create unique IAM user identities, you can grant specific Sevices and Permission for each user. In case of using JA Amazon S3, if you have many sites, it is helpful to grant access to specific buckets and permission with each buckets for each site. 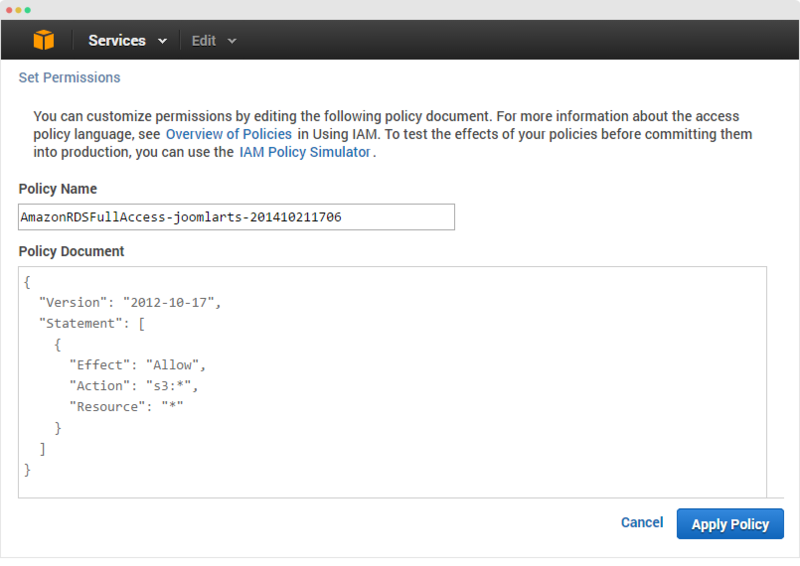 If you do not edit above code and click “Apply Policy”, that mean you grant full access/permission to all buckes of AWS S3 to IAM account. If you want this account have a permission on some specific buckets, you need specify them in “Resource” setting. 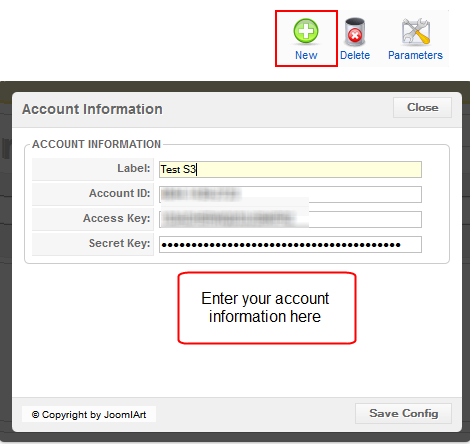 For example, below settings will grant permission to only joomla3.3.3 and joomla3.3.4 buckets for IAM account. Note: you can update policies of account any time. 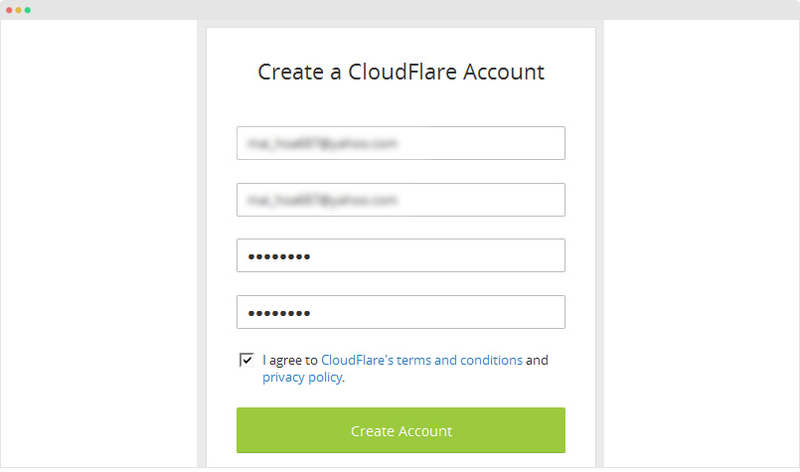 CloudFlare protects and accelerates any website online. 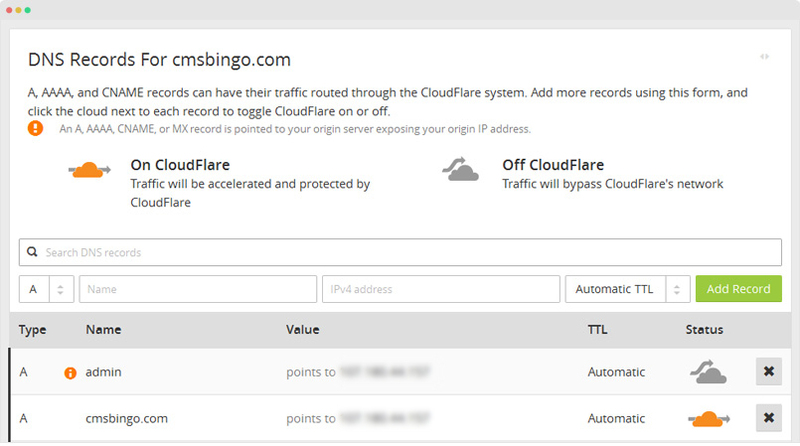 Once your website is a part of the CloudFlare community, its web traffic is routed through global network. It automatically optimizes the delivery of your web pages so your visitors get the fastest page load times and best performance. It also blocks threats and limit abusive bots and crawlers from wasting your bandwidth and server resources. The result: CloudFlare-powered websites see a significant improvement in performance and a decrease in spam and other attacks. 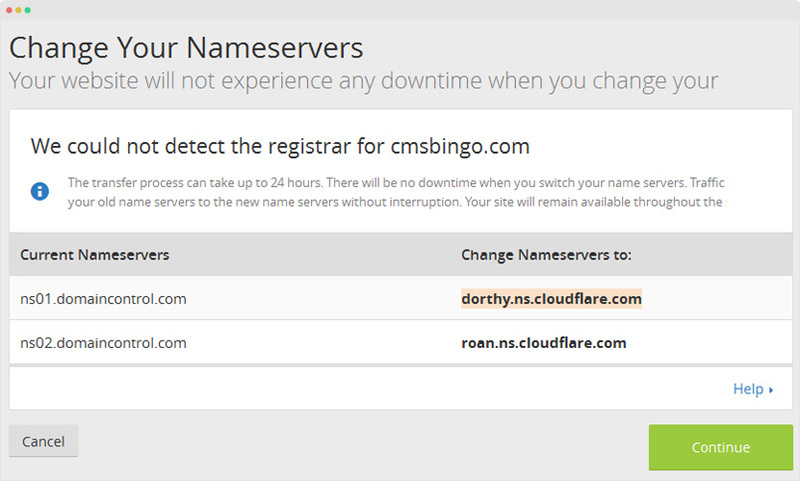 After done with Register, you will be redirected to Add Website: Add your website link to Scan DNS Record. It will take about 60 second to finish scanning. Then your DNS records will be listed. Select a plan that fits your needs and then click Continue. 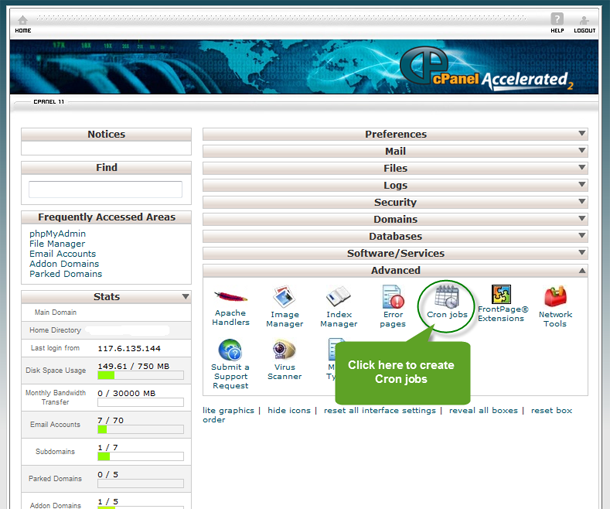 On Cpanel of your site, go to part Domain, add new Domain Name. 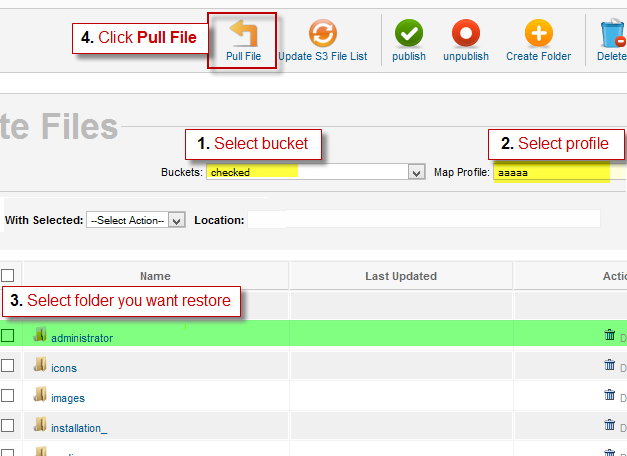 Go to Bucket Manager >> Click to Bucket you want to edit >> Add Domain of CloudFlare. Add Option Create blank file instead of removed items after uploading to Bucket to Avoid error image missing, some component has function to check status of file, and only show display if it’s available. If you choose to upload image to S3 then delete it, then image won’t be displayed cause of this problem. So, Create blank file function will create file with file size = 0, has the same name with uploaded file. This function only work when you set to Delete File after upload. After upload, a new file with same name but file size = 0KB will be created. In AWS, there’s something change with bucket setting. So after upgrade to new version, you’ll have to reimport bucket from S3. Profile setting is still the same.